For this week’s giveaway, we’ve teamed up with RAVPower to offer MacRumors readers a chance to win a HyperAir 7.5W Qi Wireless Charging Stand from RAVPower. Designed for the iPhone 8, iPhone 8 Plus, iPhone X, and future iPhones with Qi wireless charging capabilities, the HyperAir Wireless Charging Stand, priced at $46, is an upright charger that’s able to charge the iPhone while it’s standing up rather than lying flat. There are two coils built into the wireless charger so the iPhone can be charged in either landscape or portrait mode. That makes this an ideal stand for use when you still need to see your iPhone while it charges, perhaps for watching videos or keeping an eye on a social network. 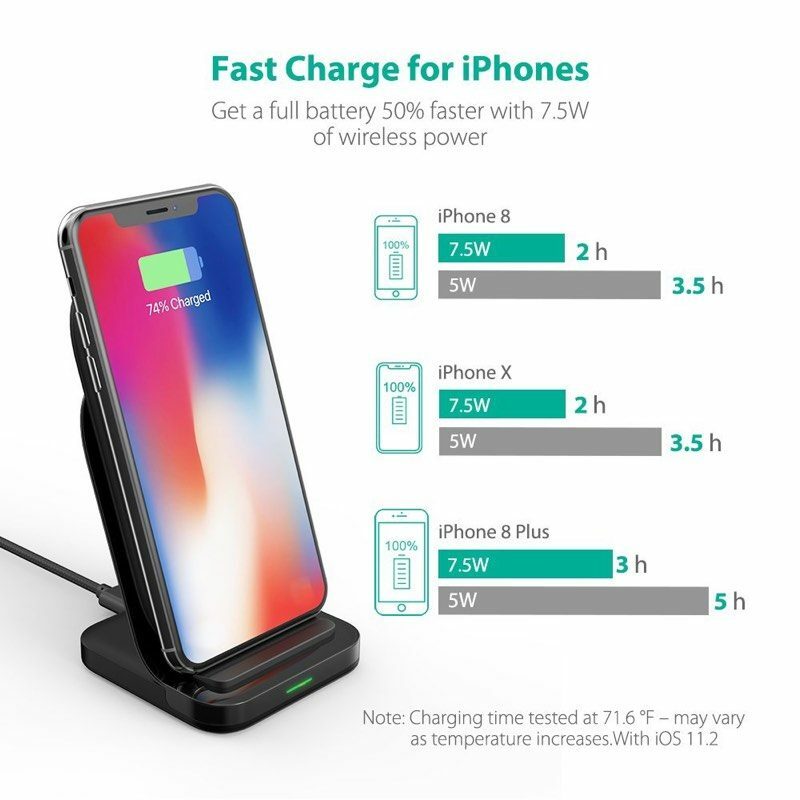 RAVPower’s HyperAir line of chargers support the faster 7.5W charging specification in the iPhone X, iPhone 8, and iPhone 8 Plus, so this Wireless Charging Stand will charge your iPhone faster than a standard 5W charger. We reviewed the HyperAir Stand back in March and found that it was able to charge an iPhone X faster than several other competing chargers on the market. For those of you who have an iPhone and another device like a Samsung Galaxy, this will also charge those devices. It works with any Qi device. According to RAVPower, the HyperAir Stand uses triple temperature controls to disperse heat 15 percent faster and protect against overcharging and overvoltage. Temperature control is important because wireless charging causes the temperature of the iPhone to rise, and at higher temperatures, charging slows. 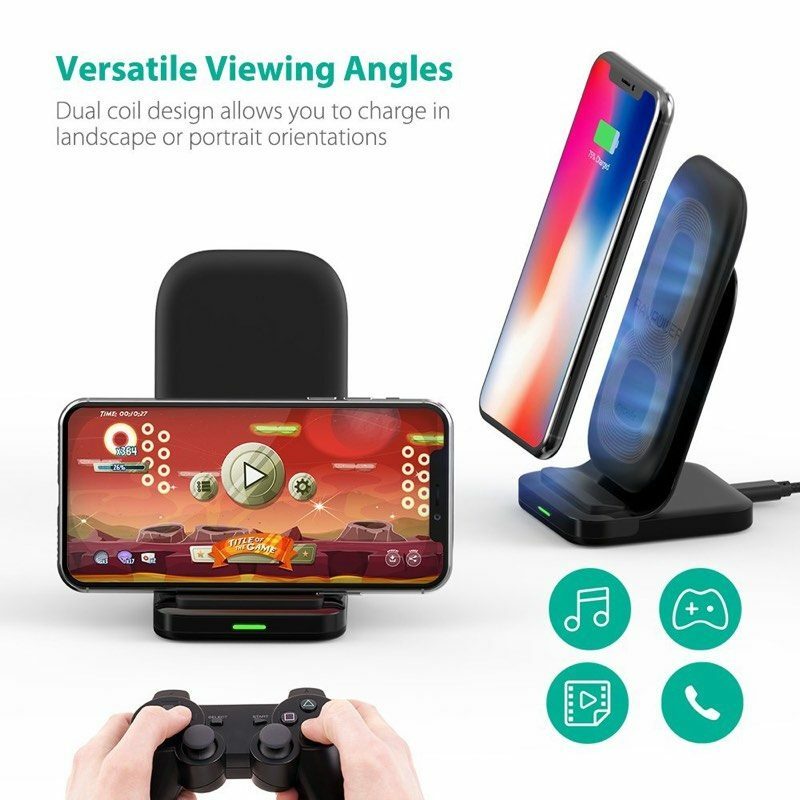 We have 10 of the HyperAir Wireless Charging Stands from RAVPower to give away, and for those who want to make a purchase now, we have an exclusive discount that drops the price of the charger from $45.99 to $33.99. Just use the code MACRAV069 when checking out on Amazon. The code will work until June 15. To enter to win our giveaway, use the Rafflecopter widget below and enter an email address. Email addresses will be used solely for contact purposes to reach the winners and send the prizes. You can earn additional entries by subscribing to our weekly newsletter, subscribing to our YouTube channel, following us on Twitter, or visiting the MacRumors Facebook page. a Rafflecopter giveawayThe contest will run from today (June 1) at 11:00 a.m. Pacific Time through 11:00 a.m. Pacific Time on June 8. The winners will be chosen randomly on June 8 and will be contacted by email. The winners will have 48 hours to respond and provide a shipping address before new winners are chosen.